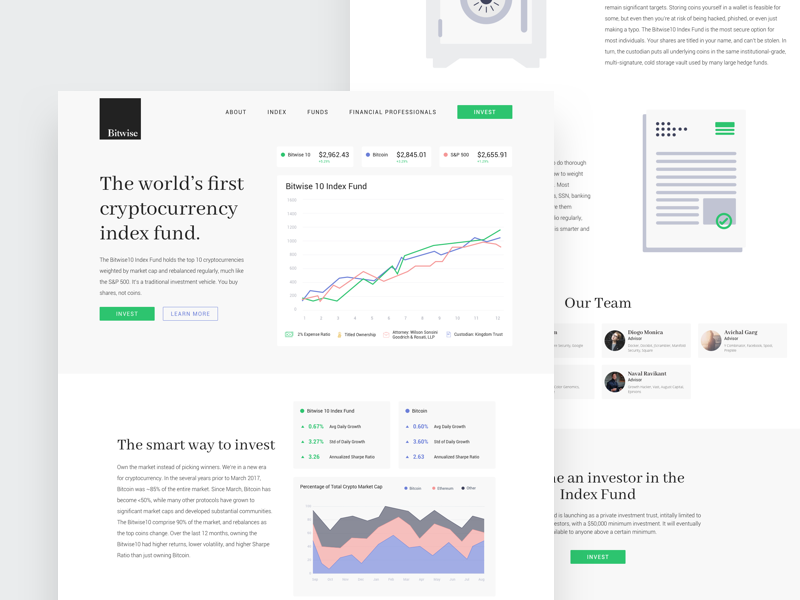 A look at the homepage for Bitwise the first Cryptocurrency index fund. With a focus of the landing page on data was a great experience working through data visualization for the homepage to show the value of the product. Full pixels attached for a closer look.